Are your bartenders and servers portioning your wine by the glass correctly? Probably not. To an employee, what is really the difference between 5 ounces or 5-1/2 ounces or 6 for that matter? Well, we have a solution for you. 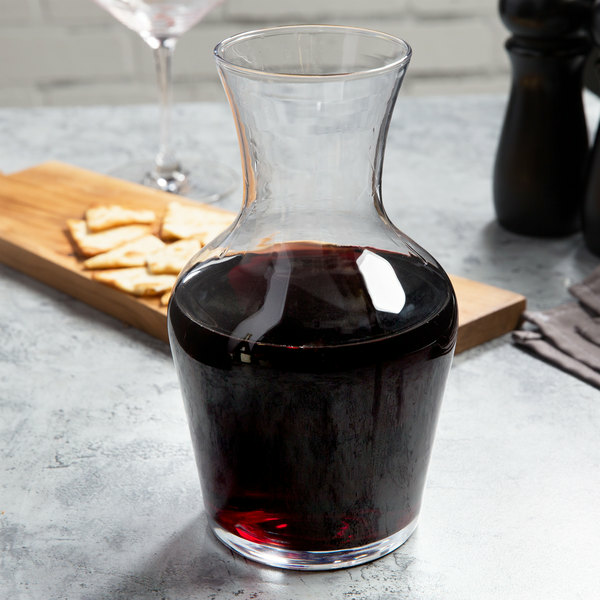 It's our glass Wine Portion Control Carafe. Instead of having your bartenders pour directly into a customer's wine glass, they pour into the carafe to your designated portion level. Both the carafe and glass are presented to the customer. The waiter pours a small amount into the glass for them to taste and allows the customer to pour the rest at their leisure. Their are many benefits to using the Wine Portion Control Carafe. Customers can share. They can pour at their own pace. It gives a classier presentation thus adding value to the price of the drink. Customer's really believe they are getting "extra" wine since they have more to pour when their glass gets low. 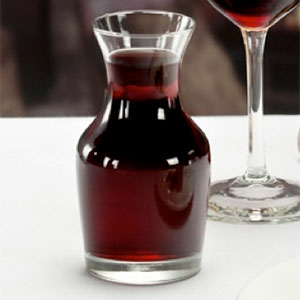 And most importantly, the carafe provides an effective portion control solution. No more worrying about excessive pours and lost revenue. The Carafe also enhances cocktail presentations. Serve Margaritas, Martinis or your house specialty drink with that extra panache.